Grupa Azoty is engaged in supporting the promotion of a DNA lab-on-a-chip project developed by NEXBIO Sp. z o.o., a start-up based in Lublin. 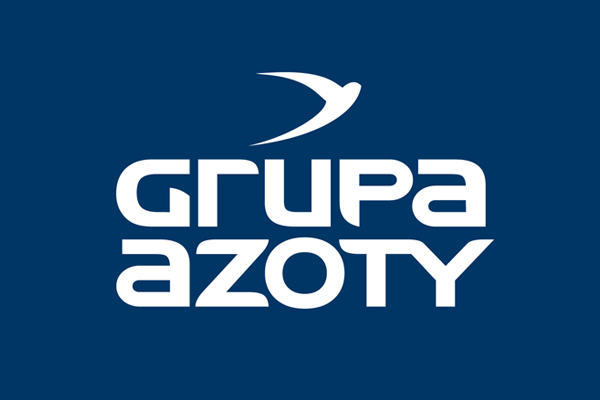 “Grupa Azoty is not only a manufacturer of fertilizers for agriculture and intermediate products for industry. It is also a fine example of how to combine science, new technologies and responsible management,” said Wojciech Wardacki, PhD, President of the Management Board of Grupa Azoty S.A. “That is why we are on the lookout for new solutions. We keep a close eye on promising projects and choose to work with entities able to bring solid scientific knowledge into their imaginative and bold visions. This is an element of our updated strategy,” he added. NEXBIO is one of the ten finalists of the ‘Start-ups in the Palace’ initiative organised by the Chancellery of the President of Poland and the Start-up Poland Foundation. The company offers innovative biotech solutions for the crop protection market. Its DNA analysis tools are a breakthrough in crop protection. Using standard or dedicated molecular analysis, NEXBIO makes qualitative and quantitative assessment of pathogen DNA present in a plant, to determine the type and number of factors causing plant diseases. It is an alternative solution to visual assessment of plant condition, which also enables analysis of pathogenic factors in the soil at very early stages of disease development, when visual assessment is not yet possible. This in turn enables tailored selection of plant protection products for more effective protection. NEXBIO has recently been named a winner and finalist of several global competitions. Since Tuesday, May 30th, its lab-on-a-chip has been enrolled in the Top 50 Pioneers Festival in Vienna. Also, with the support from Grupa Azoty, NEXBIO will soon participate in the finals of the Chivas the Venture competition in Los Angeles and in the start-up competition during the Polish Tech Day 2017 in London. “NEXBIO’s offering is interesting and innovative, as pathogen identification is performed quickly and faultlessly,” emphasised Adam Żurek, Head of the Corporate Strategy and Development Department. Last week, Grupa Azoty concluded an agreement with another Polish start-up SatAgro, under which a pilot programme will be launched to inform farmers about changes in the condition of their crops based on satellite observations. As a result, customers of Poland’s largest chemical group will gain crop data processing tools which can be used for individual fields to aid in effective farm management. The app will enable remote monitoring of crop growth, assessment of the impact of weather conditions and agronomic treatments, analysis of historical data, direct communication with a precision spreader, management of soil water resources, and even crop yield forecasting. NEXBIO Sp. z o.o. was established in 2015 as part of the ‘Innova-Invest: investments in innovative projects in the Lublin Science and Technology Park’ project run by LPNT S.A. and financed under the Innovative Economy Operational Programme. Besides the project authors and LPNT, the project was invested in by private entities (the Lublin Business Angels Network). The project team comprises people with scientific background in genetics and molecular methods, as well as practitioners with long hands-on experience in putting research results into practical use. The company works with specialists from several research institutions focused on bioinformatics, plant and animal breeding, protein analysis, conventional microbiology and other fields.